Scholarship on New England history. 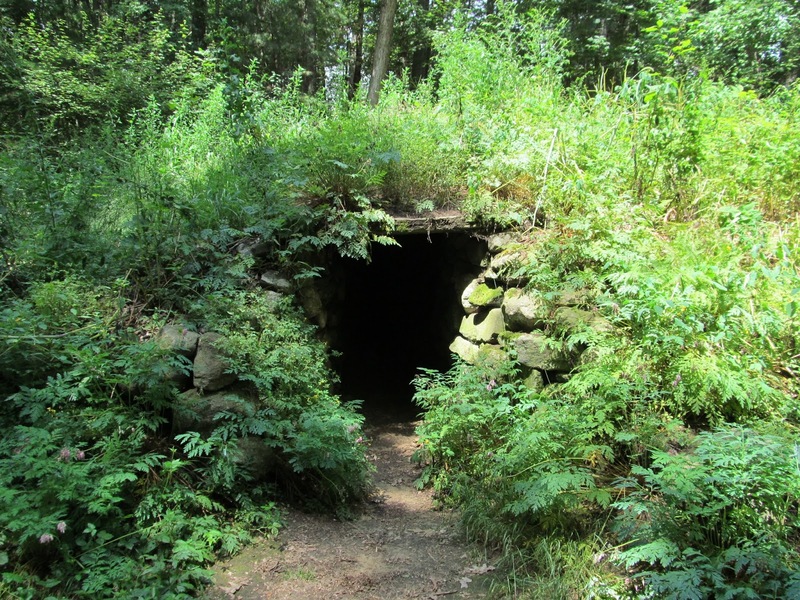 In her seminal work, Sweat-Houses in the Southern New England Area, historian Eva L. Butler only hinted at the various construction methods used by the native people to build their sweat-houses. 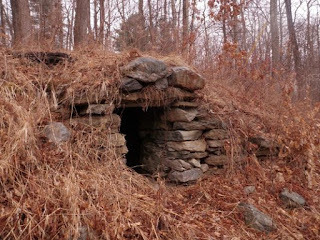 Due to the paucity of information, historians are generally unsure of how ancient sweat-houses were built in New England. The earliest description of sweat-houses in New England was from Roger Williams, who lived among the Narragansett in present-day Rhode Island. Williams stated only a few facts about the construction of a sweat-house, but he never mentioned the materials used. He summarized the size, shape, and described the structure as a, "little cell or cave." Samuel Johnson's 1755 Dictionary may give us insight into what these words may have meant to 17th Century Englishmen. Dutch lawyer Adriaen van der Donck gave us a bit more detail when he described the sweat-houses he witnessed in present-day New York City. He wrote that the local Manhattan Island Indians constructed their sweat-houses out of clay. 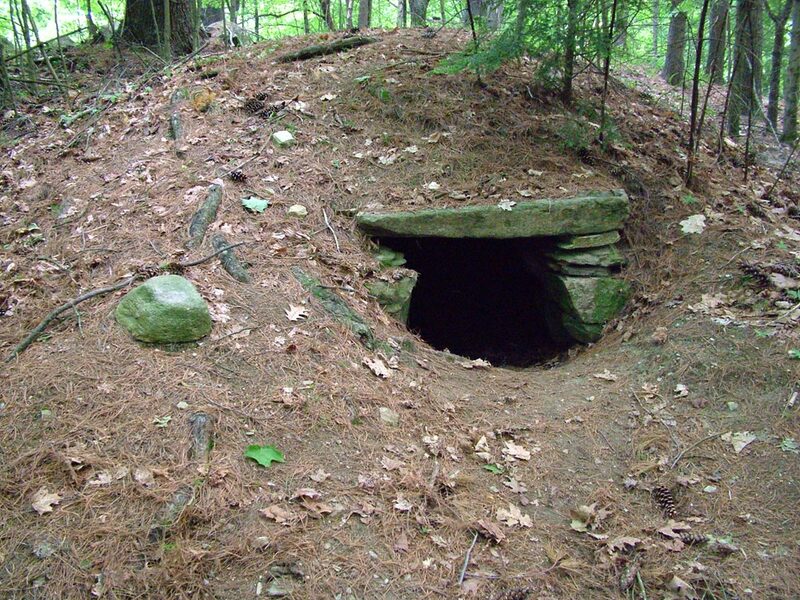 Captive John Gyles, however, described a different type of sweat-house among the Penobscot in Maine. 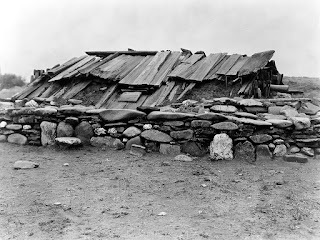 The type of construction mentioned by Gyles, with skins and mats covering a small hut, were like the sweat-houses John Josselyn described in his narrative Two Voyages to New-England, only the material used was bark rather than skins or mats. 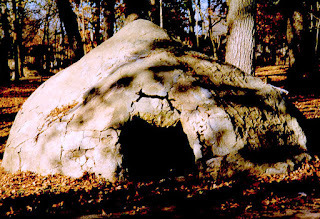 Josselyn explained that such sweat-houses were made in haste when an Indian was suffering with disease. We also have a description from the Reverend Samuel Niles of sweat-houses he witnessed on present-day Block Island. His account differed in no large way from the others in New England, but he was the only English writer to describe them as a, "vault." Again, we look to Johnson's Dictionary to give us some possible insight to what Niles may have been trying to describe. And still yet we find another type of construction described by English explorer John Lawson while among the Saponi in North Carolina. Although not an account from New England, Lawson's description offers insights into the method of construction for sweat-houses in a nearby people of Eastern Siouan language and a Southeast Woodlands culture. Considering the paucity of information on sweat-house materials and construction in New England, Lawson's account may have some value here. It is notable that both Lawson and Niles described the structures as ovens. 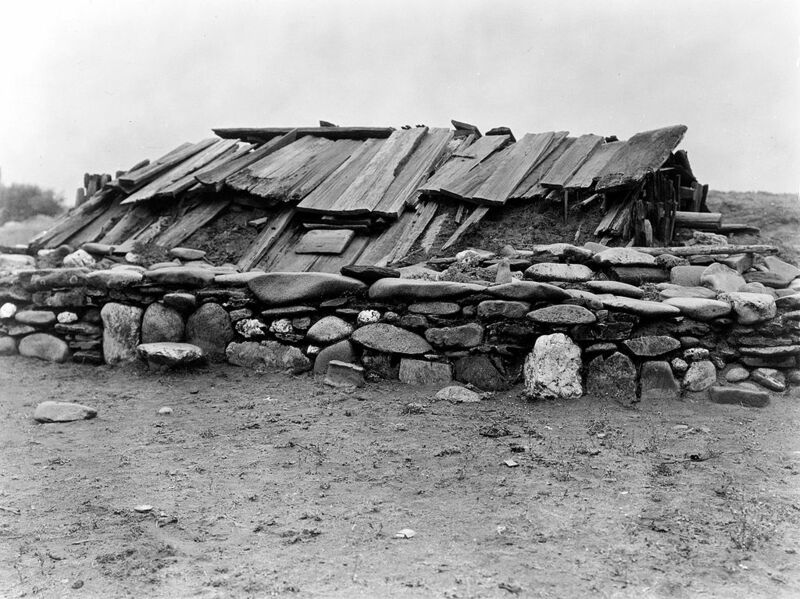 It appears evident from the historical record that the method of sweat-house construction was dependent upon the purpose of the sweat, as well as the available labor and materials. During sickness and times of distress, a wetu covered with bark was sufficient. In times when speed and convenience were required, perhaps while traveling or hunting, a simple framework with mats and skins could be erected. With more time and available local clay, a more permanent and elegant structure could be made. 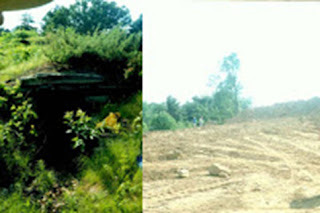 With no available clay, abundant stones could be used. It seemed there was no singular way that sweat-houses were built. 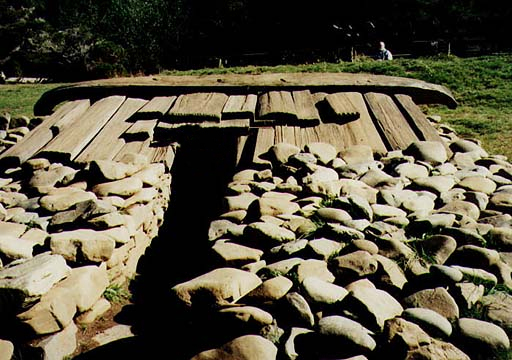 Land records have given us only tantalizing clues into the nature of these historic sites. In the following entry from Connecticut, the record describes a heap of stones on a lot, but no other details were given. Was this, "heap of stones," the remnants of a great hearth that contained the fire? Or was it a heap of heated stones? Or could it have been a pile of rubble where a stone-built sweat-house caved in upon itself? The historical record is unclear. 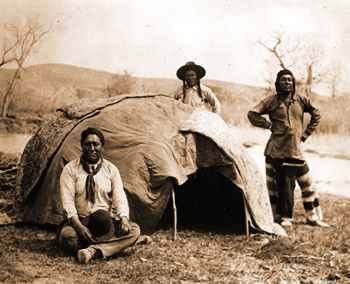 Native people themselves passed down information from generation to generation in oral histories. 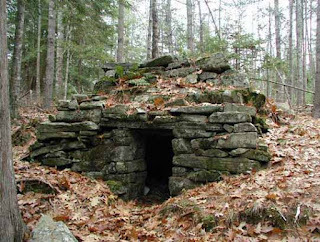 The following example collected by folklorist Charles Leland shows a hint of a stone-built sweat-house in the 19th century mythology of the Micmac, Passamaquoddy, and Penobscot Tribes in New Hampshire and Maine. There was at least one traditional Mohegan story that included a beehive-shaped chamber of stones. Inside the chamber of stones, the cultural hero Granny Squannit recovered from illness. Considering the entirety of facts, stone chambers found in New England cannot be ruled out as aboriginal sweat-houses. In fact, these structures are the only examples we know that satisfy Williams's description of a cell being, "made on the side of a hill," or Niles's use of the word, "vault." Stone sweat-houses would also be the only construction material that could have survived the centuries. 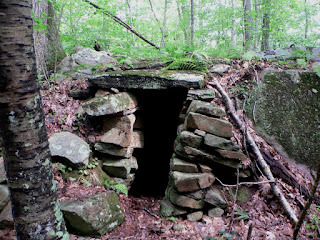 If sweat-houses were made of stone in New England, they might look exactly like some of our enigmatic stone chambers. 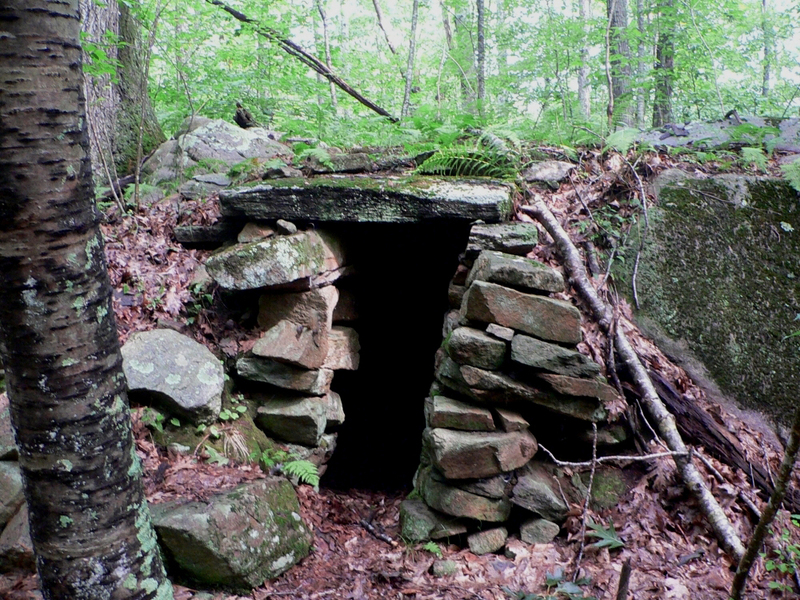 A conclusion cannot yet be reached with certainty that any of these stone structures in New England were sweat-houses built in antiquity. But if we follow the ethnohistorical data, there is a possibility that some of them could be exactly that. Each structure deserves further investigation to see if protection is warranted, and for further identification of similar sites. BUTLER, Eva L. 1945. Sweat-Houses in the Southern New England Area. In Bulletin of the Massachusetts Archaeological Society, vol. VII, No. 1 (October 1945), pp. 11-14. 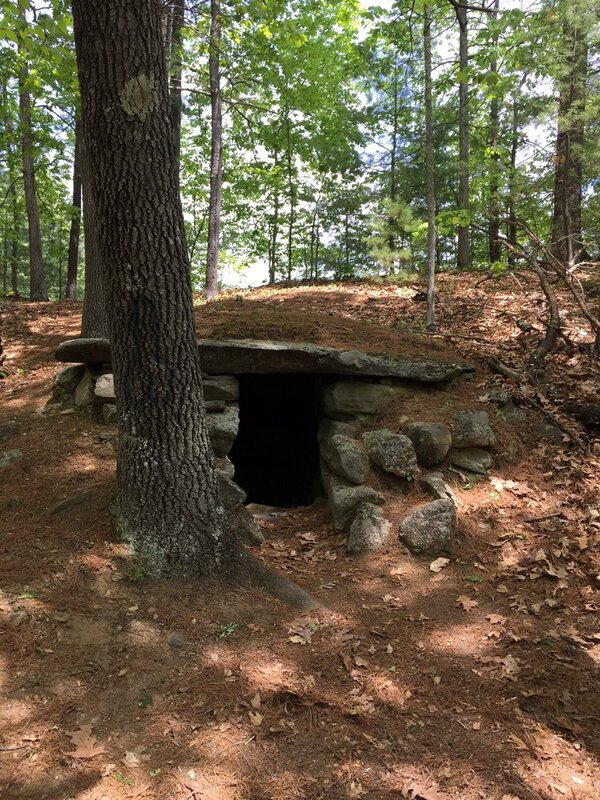 Andover: Massachusetts Archaeological Society. DRAKE, Samuel Gardiner. 1846. Tragedies of the Wilderness. Captivity of John Gyles. Chapter V. pp. 91-93. Boston: Geo. A. & J. Curtis. JOHNSON, Samuel. 1756. A Dictionary of the English Language. London: W. Strahan. JOSSELYN, John. 1865. An Account of Two Voyages to New-England. Boston: William Veazie. LAND Records. vol. IX, p. 149. City Hall, New London, CT.
LAWSON, John. 1709. A New Voyage to Carolina. London. LELAND, Charles G. 1884. The Algonquin Legends of New England. Boston: Houghton, Mifflin and Company. NILES, Samuel. 1837. A Summary Historical Narrative of the Wars in New-England with the French and Indians. In Collections of the Massachusetts Historical Society. Vol. VI. 3rd Ser. pp. 154-279. Boston: American Stationers' Co.
VAN DER DONCK, Adriaen. 1841. A Description of the New-Netherlands. In Collections of the New-York Historical Society, 2d Ser., Vol. I. New York: D. Appleton & Company. WILLIAMS, Roger  1963. Key into the Language of America, J. H. Trumbull, ed. In The Complete Writings of Roger Williams, Vol. I, pp. 61-282. New York: Russell & Russell, Inc. I am an amateur historian.